I’ve been doing a ton of spinning lately. Almost exclusively. 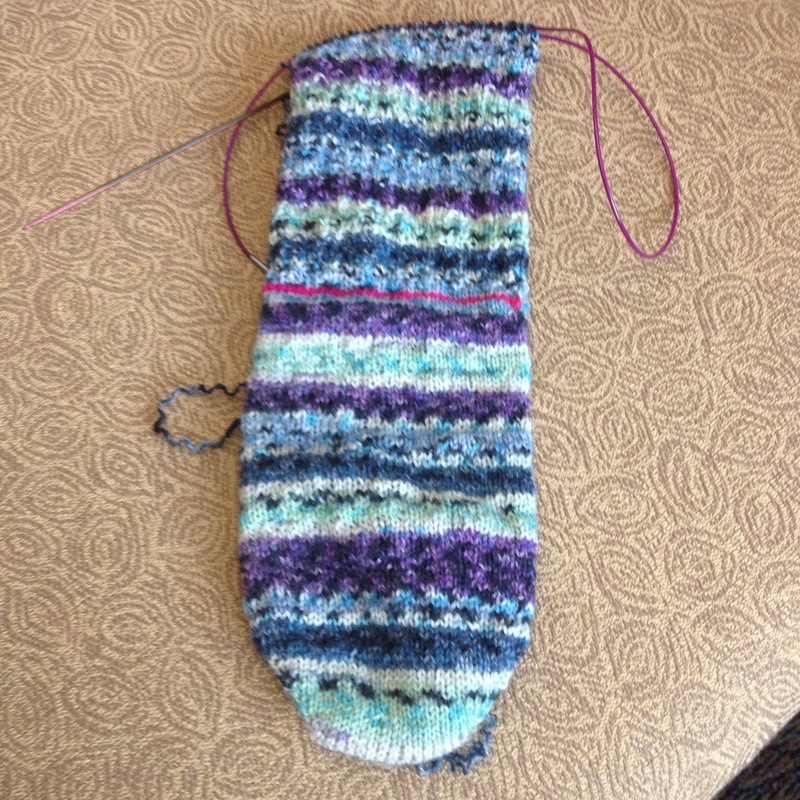 But, I’ve kept my May sock in my purse, and I’ve knit on it when I get the opportunity. And often at work. And it shows! Because I’ve worked past the placement for the afterthought heel now. These aren’t going to match at all, quite frankly. Because I’ve messed with the stripe pattern a ton. I used scraps and kept switching the stripe pattern around. But, that’s ok, I am quite comfortable with socks that don’t match! I also think I am going to love them a lot, I really enjoy the color combinations on this yarn! Opal just doesn’t fail!